The 2014 Tanner Conference will be held Tuesday, October 28 from 8:30 a.m. to 4:10 p.m. at Wellesley College Science Center. As the Conference does each year, it will provide a fascinating day of presentations in a multitude of formats in which students and others reflect critically upon, analyze, and share their off-campus experiences with others in the College community. The deadline to apply to be a presenter at the next Tanner Conference is noon on September 9, 2014. 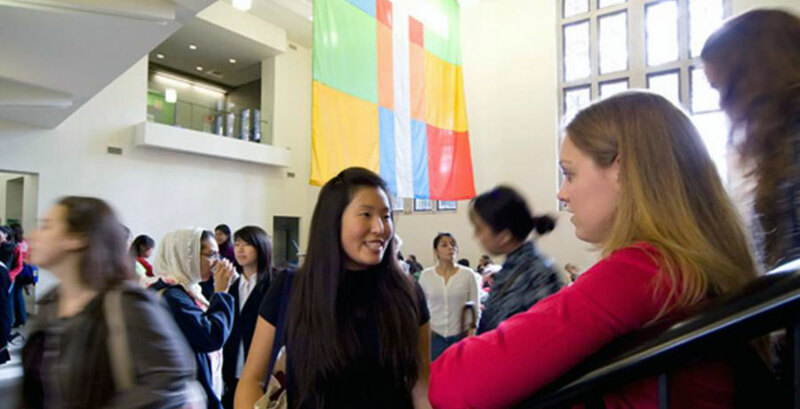 The conference, established through the generosity of Wellesley College trustee emerita Estelle "Nicki" Newman Tanner '57, is primarily a forum for students, but some presentations can be greatly enhanced by the participation of faculty, alumnae, and members of the larger community. Sometimes, faculty organize their own panels and roundtable discussions. Students should feel free to invite community members to participate on panels, particularly when the topics reflect College-community partnerships, such as service-learning programs. Students and other community members can access the online application through the Tanner Web pages. The best presentations have a clear focus and an obvious sense of purpose, as well as substantive content. Students should work with an advisor to help draft her Tanner abstract. If the abstract is accepted, the advisor should then meet with the student to help plan her presentation. Past presentations have included topics from “Global Learning: An International Community Committed to the Education of Children" (panel, 2001) and “Amnesty International: The Key to Running a Successful Grassroots Program" (single presenter, 2013) to “Laboratory Research: Resume Builder? Learning Experience?” (dual presenters, 2004) and “The New Word: What Happens When Libraries Go Digital?” (faculty/staff roundtable, 2009), with worlds of research, travel, study, service, and work spanning every field. Mark your calendar for October 28 at Wellesley.